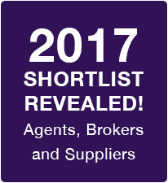 Now that the OSCARS are over and done with and the dust has begun to settle; we at GSL are proud to announce that our company have been nominated for the “Golden Globes for Estate Agents”, The ESTAS. The ESTAS Awards highlight excellence in the field of estate agency at national and regional level. 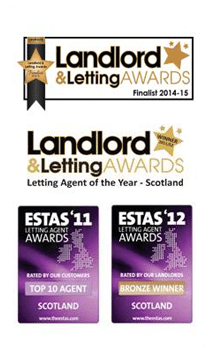 We are very proud to have been nominated as this means that our landlords and customers have voted for us to be listed in the Top 10 Letting Agents in Scotland. We would like to thank all of our landlords and customers for this kind response to our work over the last year. Being commended in this way for our excellence in letting means a great deal to us and acknowledges what a great journey of growth our company continues to travel. We’ve enjoyed a busy year here at GSL, as many of you know at the end of 2016 we took the progressive step for our business by relocating our HQ from South Lanarkshire to Central Glasgow. 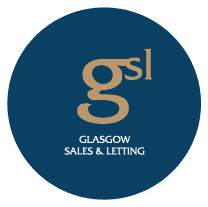 I am proud of the ongoing efforts displayed by everyone of our staff, we were very careful to ensure that our renowned customer service levels were maintained during this move and as a result we retained our loyal customer base whilst increasing our property portfolio across Glasgow and the West. The ESTAS will take place on the 12th of May at Grosvenor House in London and we look forward to the event as it is always a fantastic day. As a previous winner of the ESTAS we would also like to take this opportunity to wish all of the other Nominees the best of luck in their selected categories. Thank you once more to all landlords and tenants who voted for GSL. We will be sure to keep you updated with the results of the 12th May 2017.